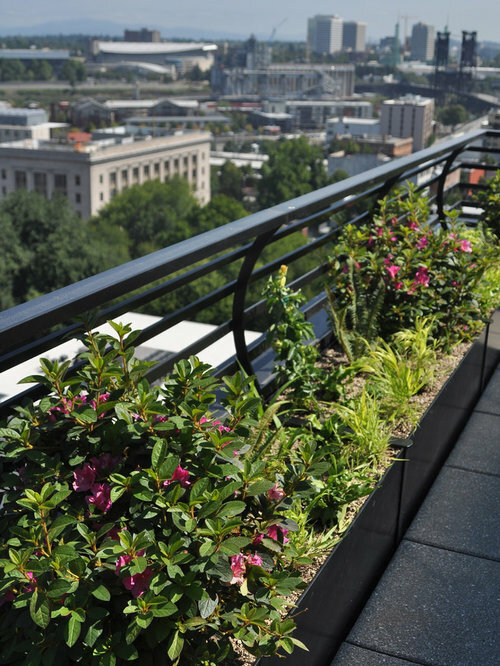 These custom aluminum planters were fabricated to fit seamlessly between the curved railings and the concrete pavers of this penthouse condo. 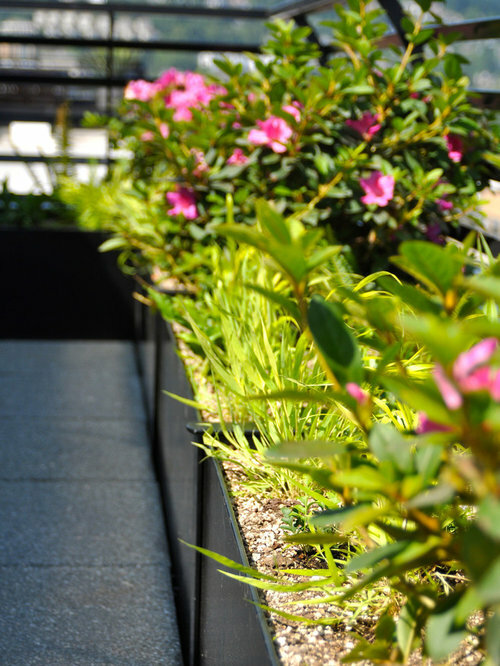 Designed and installed by Pistils Landscape Design + Build. 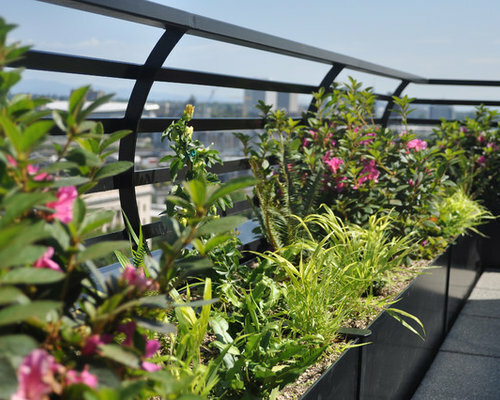 Balcony plants chosen for year-round interest and ability to tolerate high winds. 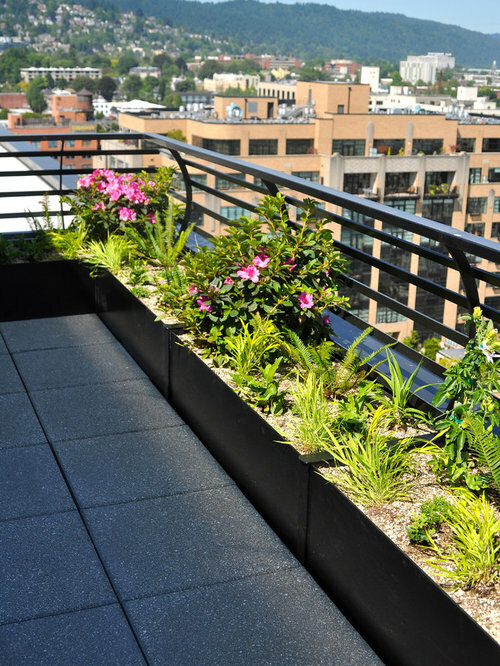 Designed and installed by Pistils Landscape Design + Build. Designed and installed by Pistils Landscape Design + Build.